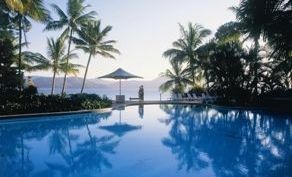 DAYDREAM Island Resort and Spa has achieved an Eco-Friendly STAR Accreditation through AAA Tourism. 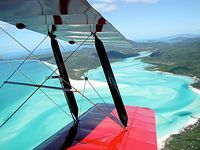 The Eco-Friendly STAR Accreditation recognises the lengths Daydream Island Resort and Spa goes to in order to reduce its impact on the environment. All cooking oils are sent off the island to be reused as a bio-fuel in lieu of diesel, water is conserved wherever possible by utilising water reducing taps and encouraging guests to make a conscious decision with the laundering of their linen and towels, energy efficient lighting has been installed and all staff and guests are encouraged to recycle wherever possible. Daydream's signature Rejuvenation Spa is at the forefront in water conservation using state-of-the-art equipment which is highly efficient in water use. The Eco-Friendly STAR logo provides guests with the reassurance that they are staying at an environmentally friendly property on the edge of the world heritage Great Barrier Reef.